Cabinet has approved a €55 million debt facility for the rehabilitation of a 100-kilometer road network and street projects in Kumasi. 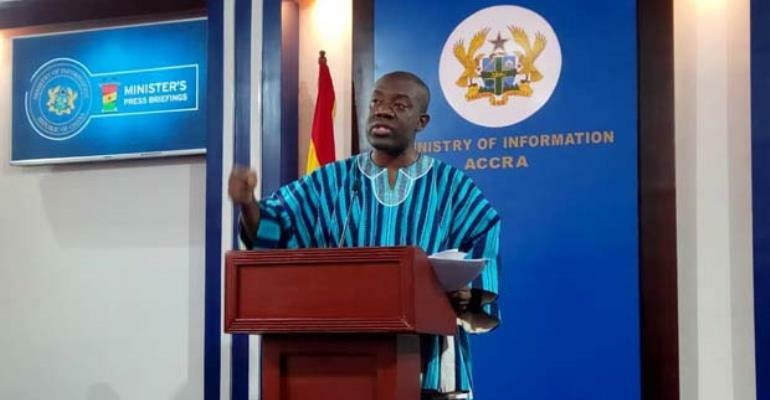 Information Minister, Kojo Oppong Nkrumah, who announced this to the press on Sunday, March 31, in Accra, said the facility was a credit agreement between the Government of Ghana and the Deutsche Bank for Auxiliary Infrastructure of Kumasi Inner-city Roads. He said it was also a commercial agreement between the Ministry of Roads and Highways and a Construction firm, Contracta Construction United Kingdom (UK) for the implementation of the project. The scope of works to be undertaken as part of the projects, according to him, included the rehabilitation of roads in Bantama Sub metro which is a 13.23km length of road; Kwadaso with 11.60km; Manhyia with 8.98km; Oforikrom with 10.61km and Suame with 12.01km. The rest are Subin with 13.25km, Asokwa 11.25km, Nhyiaeso, 10.13km and Tafo Pankrono with 8.96km. Mr. Opppong Nkrumah indicated that in addition to the above mentioned roads, several key activities would be undertaken under the Priority Road Infrastructure Projects. The projects, he said, include: rehabilitation and upgrading of selected roads, provision of traffic management and pedestrian safety facilities including road-line marking and installation of road markings, traffic signs and traffic control devices and ehabilitation of drainage facilities. According to him, the completion of these projects will reduce waiting and travel times within the Kumasi Metropolis with consequent reduction in poverty and enhanced development in our dear nation.